One of the things I LOVE about cooking is that cooking a meal is one of the most personal things you can do for someone. You’re literally providing plated nourishment made with your own hands and creativity. Even if you’re following a recipe, you picked the recipe and planned the meal, didn’t you? The speciality of a home cooked meal is the feeling of abundance it provides. Everything you have and need is right in the front of you within arms reach. The fragrance of garlic, the crackle from the skillet, and the sight of a perfectly roasted bird coming out from the oven…. DIVINE! Cooking speaks to all of my senses. It’s a joy I’m so proud to know! But most importantly; with my Passion for Food comes Mindful Eating. Eating slowly and without distraction. Listening to physical hunger cues and eating only until you’re full. Distinguishing between actual hunger and non-hunger triggers for eating. Engaging your senses by noticing colours, smells, sounds, textures and tastes. Learning to cope with guilt and anxiety about food. Eating to maintain overall health and well-being. Noticing the effects food has on your feelings and figure. These things allow you to replace automatic thoughts and reactions with more conscious, healthier responses. Here are some of my favourite tips to introduce mindfulness to mealtimes in easy, accessible fashion. Eating slowly doesn’t have to mean taking it to extremes. Still, it’s a good idea to remind yourself, and your family, that eating is not a race. Taking the time to savour and enjoy your food is one of the healthiest things you can do. You are more likely to notice when you are full, you’ll chew your food more and hence digest it more easily, and you’ll probably find yourself noticing flavours you might otherwise have missed. Silence the phone. Shut off the TV. Our daily lives are full of distractions, and it’s not uncommon for families to eat with the TV blaring or one family member or another fiddling with their iPhone. Consider making family mealtime, which should, of course, be eaten together, an electronics-free zone. The tanginess of a lemon, the spiciness of arugula, the crunch of a pizza crust — paying attention to the details of our food can be a great way to start eating mindfully. This scene from ‘Ratatouille’ describes what I am trying to say perfectly. Mindfulness is really about rekindling a relationship with our food. 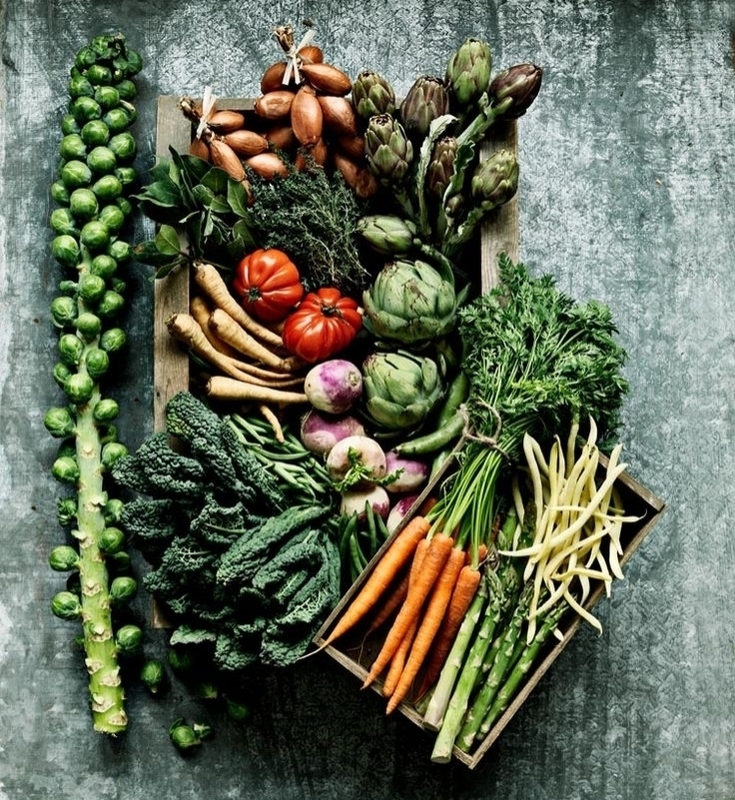 From planting a veggie garden through baking bread to visiting a farmers market, many of the things we locavores have been preaching about for years are not just ways to cut our carbon footprint, but also connect with the story behind our food. Even when you have no idea where the food you are eating has come from, try asking yourself some questions about the possibilities: Who grew this? How? Where did it come from? How did it get here? Chances are, you’ll not only gain a deeper appreciation for your food, but you’ll find your shopping habits changing in the process too. SIT DOWN AND EAT A HEALTHY MEAL, PROPERLY, WITHOUT DISTRACTIONS. That means no TV; no internet; no radio in the background. Sit at the table, and really pay attention to what you are eating. Chew your food slowly, pay attention to how it feels and tastes in your mouth. Put your cutlery down between mouthfuls as well! 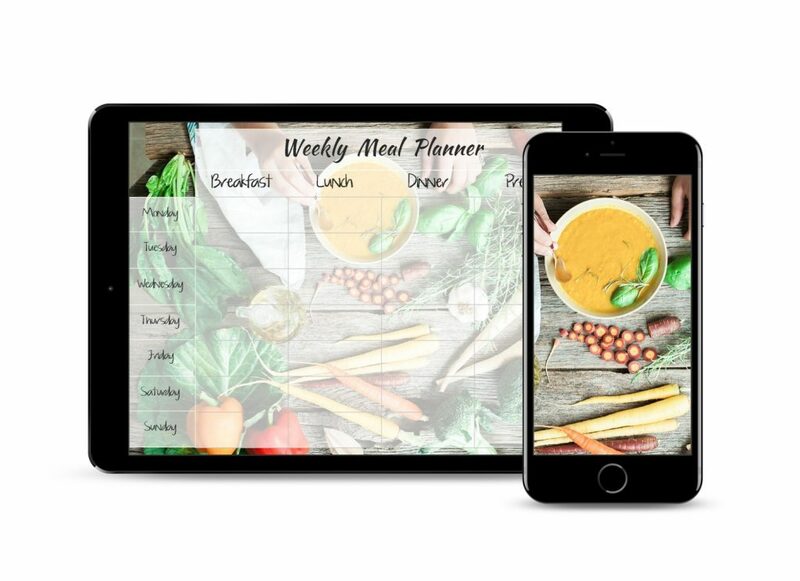 Download my #FREE Meal Planner here. Practicing mindfulness is essential when making healthy eating habits. Great read! This is inspiring! This is one great way to “live” in the moment, and enjoy not only the food but life as well. I loved reading this, it gave me some things to keep in mind about mindful eating. I love how you spoke about mindful eating. I think we get so busy that we just stuff whatever in our mouths to eat as well as our kids and never really pay attention or savor it. Then we get into the habit of doing it all the time. Great post.